At 19-years old Tod Volpe had already immersed himself in the "art world". Using his artistic talents and desire for beautiful things, he turned ordinary objects into works of art by improvising. Before that he was an undertaker, but feeling embarrassed about his profession, Volpe decided to study Art History and got a job as a stagehand at the Lincoln Center in New York. He then started an art gallery with his cousin in SoHo. There the young Volpe met and mingled with the likes of Jack Nicholson (who became a good friend) and generally, had an extravagant ball. After some time, things in New York soured and he left for Tinseltown where he met even more stars, directors, and producers, to whom he peddled artworks and the like. 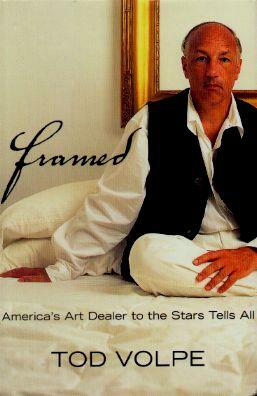 Life was good until he got too greedy and the art world took a nosedive. Deeply in debt and back in New York, his own world came crashing down at an alarming rate. This is the story behind this man's desperate attempts to fit in and flourish in a highly competitive business and what ultimately became of him. A fascinating, if not somewhat alarming, insight into the world of art. Quite extraordinary. Conclusion - A good and interesting read.